A couple of months ago I reviewed The Cairo Pulse by B.B. Kindred I was lucky enough to receive an ebook via NetGalley. It is Kindred’s self-published debut novel and one I was thoroughly intrigued by. The ideas explored in the novel are mind-bending and paradigm shifting (see full review here). 1. If you were to classify your novel, what genre would you place it in? 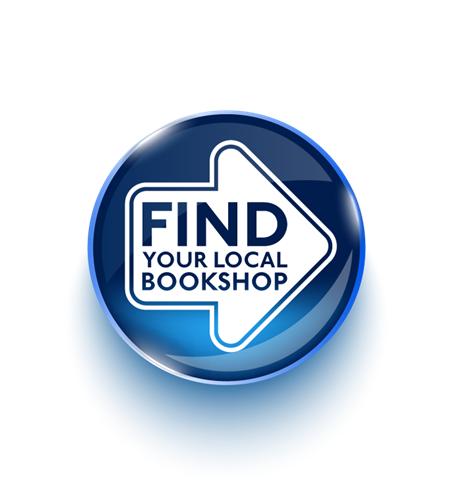 If you were to walk into a bookshop, for example, where would you expect to find it? Speculative fiction, but I’m fully aware that I’m somewhat genre defying, which is not recommended, but nevertheless true. I could probably also be squeezed into hard science fiction, visionary and metaphysical and psychological. 2. How much research was involved in writing your novel? It’s an interesting question because in a sense, my life and work is my research. (see professional background) A lot of genuine circumstances were utilised in The Cairo Pulse, for instance, I live in the Pennine hills above Manchester. I have a substantial bank of knowledge and experience to draw upon, brushing up on specific areas if I feel it’s needed. 3. What is your professional background? In one word – complicated. After leaving school at sixteen, between then and the age of twenty-seven, I did jobs that ranged from being a Butlins Redcoat to managing a welfare advice service. After getting a place on a degree course reading Social Science, I graduated at the age of thirty. Subsequently I worked in community development, adult education and counselling. In my late forties, I became a copywriter and began to take creative writing more seriously. I consider myself to be an eternal student and am constantly expanding my knowledge of the subjects I love such as sociology, psychology, anthropology and the metaphysical. I’ve moved in most spheres of society, whether professionally or personally, which gives me a great foundation for writing. 4.Why did you decide to self-publish? Because I felt my novel would be too risky a proposition for an agent or publisher and because I wanted to be in control of the process. 5.Why too risky for a publisher? There are plenty of totally wacky novels out there in bookshops. Your question is piercing and pertinent and I want to respect that. I generally only do honesty or silence. As someone with an interest in publishing, I’m sure you’re aware it’s not just the novel that gets a writer to market. And it’s not just the novel that ensures a high profile. As a social scientist, I’m used to gathering statistics to form a conclusion. After weighing numerous factors (including the ‘wackiness’ as you call it), I’ve concluded that this is the best route for me at this stage. Time will tell if I’m right. I think it’s wonderful that I can publish without having to get someone’s permission! 6. Are there any plans for another book? Yes. It’s about something called The Rapture. I think intensively about a story for months before I write, but I’m ready to begin. If you’d like to read more about The Cairo Pulse, then take a look at my full review here or you can go to this link to buy yourself the ebook.